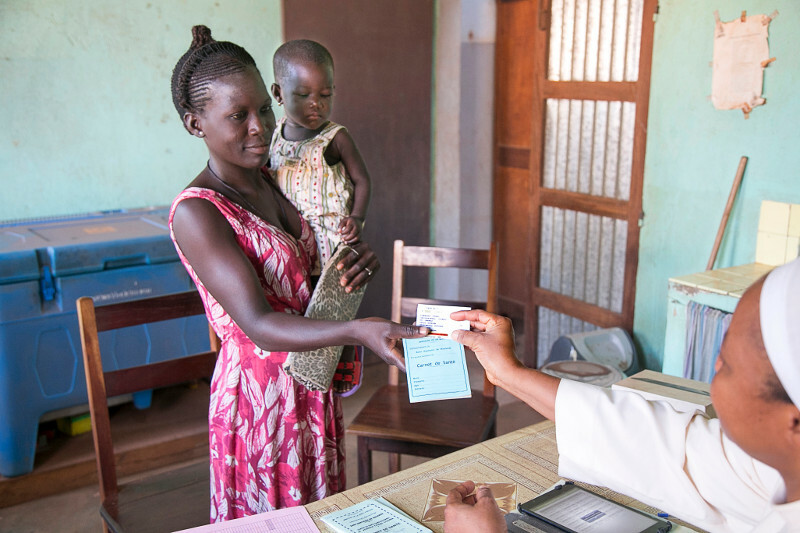 We recently shared a story about a remarkable $7 per year health insurance plan for people in Benin. More remarkable though, is the fact that so few families could afford it, even when a child’s life was at stake. Fortunately, a Catholic Relief Services microfinance program has solved the $7 problem—and it’s been solving problems like it for more than 10 years. Best yet, it doesn’t just offer loans, but instead teaches people how to save, creating long-term solutions. The program is called SILC, following our Savings and Internal Lending Community model. It has proven to be even more effective than expected, and has been called in to supplement more and more projects because of its continued success. We believe it meets many of your highest priorities in serving the poor. Cost-effective: CRS provides SILC members with a year of training to make sure the plan is understood. We also train local entrepreneurs so that when we step back, they take over, continuing to spread the program without need for outside support. Sustainable: Participants create their own financial institutions. They pool their money into a shared savings account and lend to each other as needed. Each borrower is accountable to the group. Proceeds from interest paid are divided among the members. Community oriented: From early on, SILC has helped bring people together. Members reported making friends and deepening community ties as they found common cause in saving for their families’ futures. Members learn financial and leadership skills, community spirit and self-sufficiency. Second to physical health, financial health offers our poorest sisters and brothers opportunities for growth and security. Financial health can also go a long way to ensuring physical health. Thank you for supporting us and programs that save and improve lives.